When I started my family, I honestly gave no thought to what type of family I would have. It wasn’t as important to me as having a happy, healthy family. And within a little more than four years time, we went from a two-person family to a six-person family. Are we ever busy! But we never realized that we are actually a non-traditional family, and for a few reasons: 1, we’re a mixed-race family, with Rudy being Hispanic (Mexican) and me being Caucasian (Swedish, to be specific); 2, we have four kids, as opposed to the average of two, and; 3, we had our kids consecutively, with very little space between each child. According to many, these facts would make our family life a difficult one, because we don’t fit into the mold of the classic American family, but to me? I think it makes our life a far more interesting one, a wholesome one; full of fun, laughter, love, and of course, we’re breaking the mold without blinking an eye! We play hard and love harder, and I adore the camaraderie between the girls. Don’t get me wrong, they do fight, all the time, but in between their childhood spats they are helping each other solve problems, building imaginary fortresses, and giggling like the world isn’t out to get them. It’s great to watch, and even greater to know that we’re teaching them how to have fun in the face of adversity. Because as much as you can’t tell they are half-Mexican, they have all the best qualities from both Rudy and I. They have our drive and determination, inquisitiveness and imagination, and our compassion and desire to help others. When we come together to celebrate our daily successes, both big and small, we break out our stash of Honey Maid Graham Crackers, Teddy Grahams, and Grahamfuls. 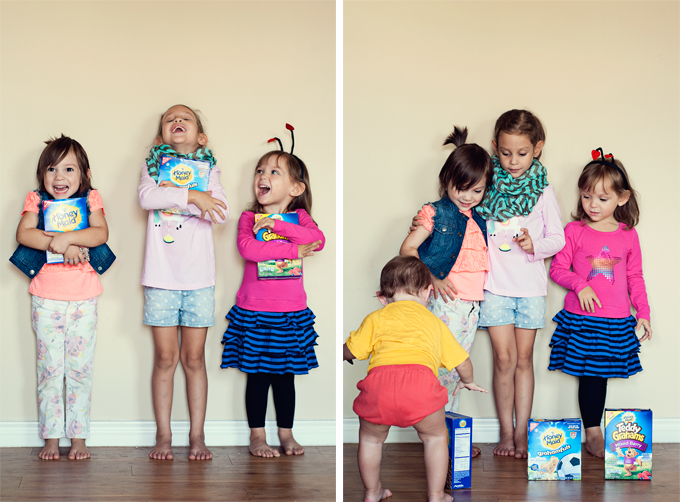 These wholesome snacks are a perfect complement to a good day and each girl has favorite, of course, Afton favoring the Grahamfuls, Delaney the Graham Crackers, and Vivienne the Teddy Grahams. And Charli? She loves them all equally, duh. In her mouth, now. Everyday wholesome snacks for an every wholesome family! With Afton in Kindergarten, Delaney in Pre-K, and Vivienne in Preschool, our days are full of crazy fun as the kids navigate their way through learning, and teaching everyone along the way what it means to be a child with manners and discipline, because although we may technically be a non-traditional family, we keep it traditional with how we raise them. It’s who we are, and who we want to be. No matter how things change, what makes us wholesome never will. We’re awesome. Come be awesomely wholesome with us! Your girls are just precious!! I love how they really seem to love to be a part of your blogging! I am in love with their new commercials! All of them! I love how they promote all types of families, and these photos are just adorable! Oh wow all the kids are cute and so adorable! They look fun and have different vibrant personalities. Such an awesome family you have! I don't think anyone can slap a definition on what makes a family, you know? We are all making our way the best we can! Robin, no one is trying to slap a definition onto what makes a family, in fact, it's just the opposite! This campaign is all about what makes each family unique, and how all families, no matter how they're comprised, are amazing! There is no real definition for family in my opinion except for a group of people who love each other and would do anything for each other. Doesn't have to be blood or have same last names. Nolie, no one is trying to define what a family is, in fact, just the opposite! The whole point of this campaign is to highlight how all families are different and amazing just as they are! You have a very beautiful family. Since they are not far apart they would be really great friends growing up. Graham snacks are also delicious. It looks like you guys all have allot of fun together! the smiles say it all! 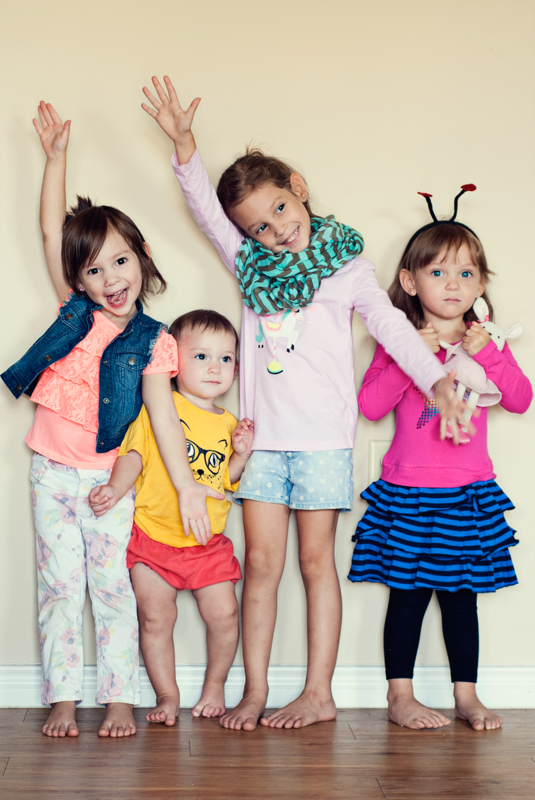 Your kids are so adorable! I agree with Charli. You can't really pick a favorite out of all these Honey Maid products. They're all delicious. What a great family you have and your girls are really cute. I would eat all of them too. As a Canadian I find it odd you think your family is non-traditional. Here is is quite common to be mixed race and with the exception of the current generations, it was rare to have fewer than 4 children. 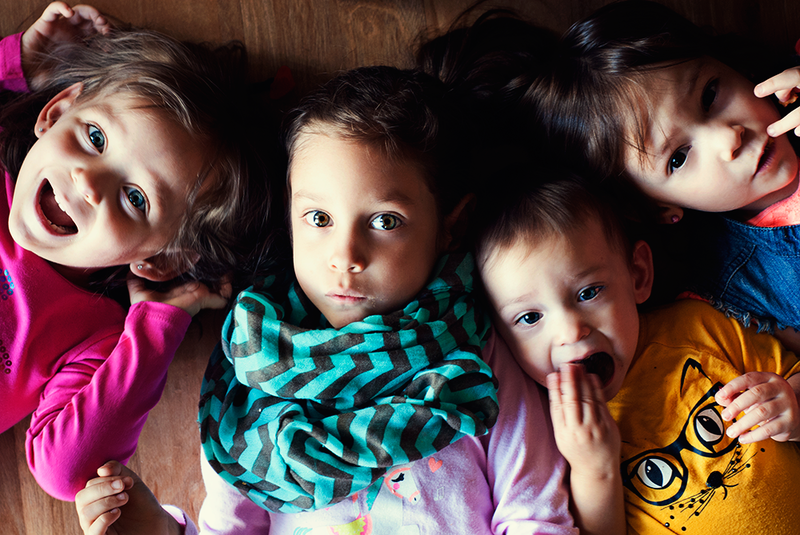 A non-traditional family for us is like my own: adopted child, two biological and more commonly, step-brothers and step-sisters. With that said, you have a beautiful family and a lot to be proud of! Great post. You have a wonderful family and your kiddos are so cute. This is an awesome post indeed. I love your pictures. Your family is so beautiful. Treasure every moment with them because the kids grow up so fast. 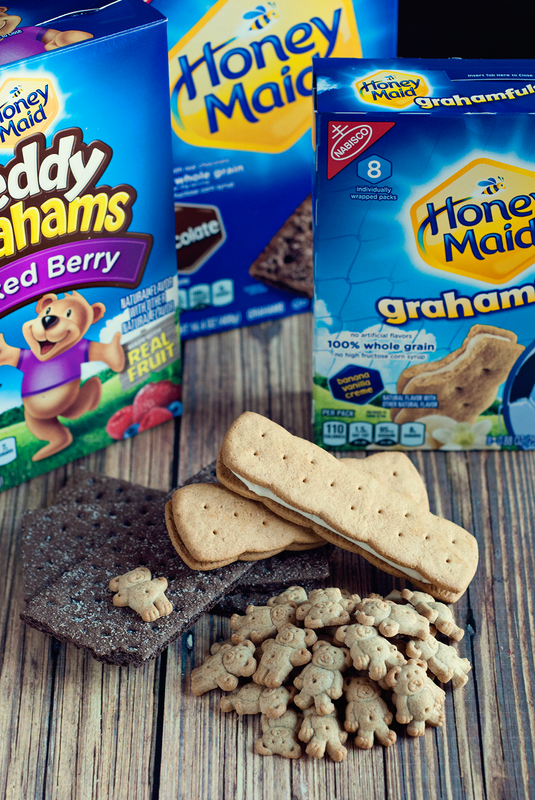 We know you go through a lot of Honey Grahams. Teddy Grahams. and Grahamfuls with all the kids. Thanks for sharing. You have such a beautiful family! I come from a mixed race family as well. My son looks mostly Mexican, yet he has a mixture of my heritage traits - Cherokee Indian, Caucasian, and African American. Your family is beautiful! My family always loved Honey Grahams specially the Teddy Grahams. Such a quick snack for them to enjoy. LOL at her wanting them in her mouth now, I remember those days. :) We like Honey Maid items here too. Well your non-traditional family is just perfect! I love the pictures! You have a beautiful family! Love it! We also like Honey Maid crackers. They are the perfect treat. What a cute family you have. The photos are great. I used to buy Teddy Grams for my kids when they were little. Ha ha ha, Charli is a girl (Charlotte), but she has my Scandinavian genes when it comes to hair, which has us looking like boys til we're 2 or 3! I totally loved this post! Your kids are adorable! I was just thinking the other day, that three years ago I was childless...and now I have two. It's crazy, but awesome! You have the most beautiful family! 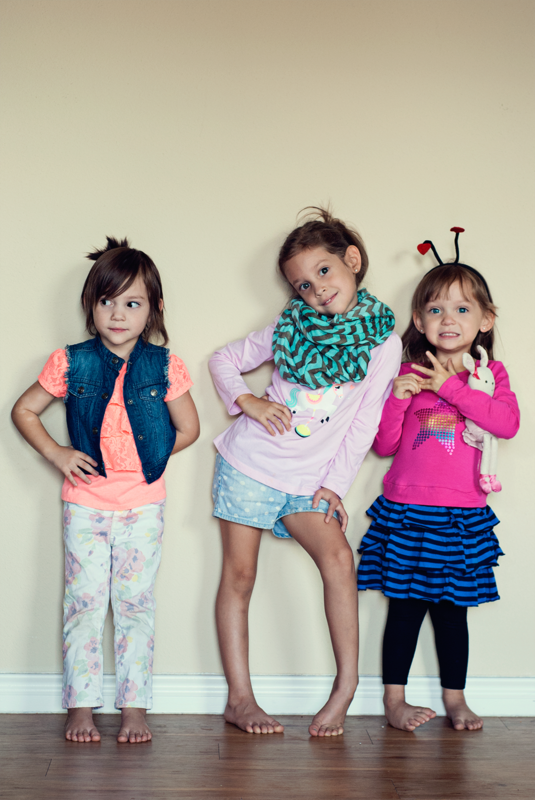 Your kids are so stinking cute! Also, love Teddy Grahams. Or at least my 3 year old does! What a beautiful family! They seem to be enjoying themselves in their cute little outfits.